Ms. Collamati just recently started distributing with this company. She is a huge fan of the oils and uses them for her own chronic pain issues, along with aiding in other aliments like stress reduction. Below is the interview I conducted with Jessica in its entirety. FF: Jessica, there has been much talk over the past recent years about alternative therapy for Fibro sufferers. Many of us are looking for alternatives to medicines with side effects that are sometimes more painful than the actual disease. One of the alternative therapies is essential oils. Can you explain what essential oils can do for a Fibromyalgia sufferer? JC: Oh sure! Essential Oils are basically extracts from plants. Extraction can be done by steam distillation or cold pressing. 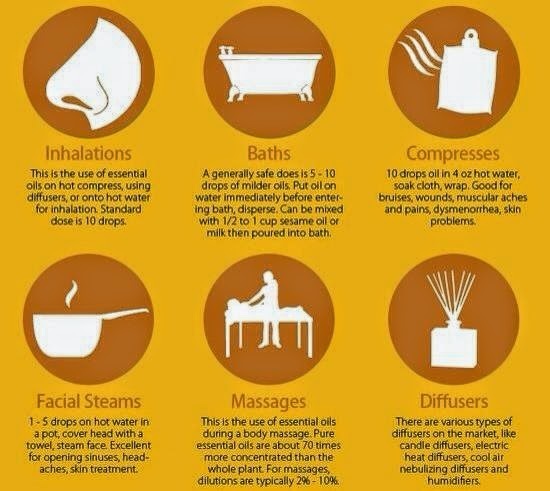 There are many different essential oils with many uses. The oils most used for Fibromyalgia sufferers are Frankincense and Wintergreen. Also used are German Chamomile, Nutmeg, and Idaho Balsam Fir. These oils can be mixed together and massaged in for the best results of alleviating pain. They really get into the muscles and minimize pain by relaxing you and your body naturally. FF: Massage is always a great thing for Fibro sufferers, and oil is always used for this because it helps massage away the pain and the aroma helps to reduce stress. But are there other ways to use oils that will help people with Fibro? JC: Massage is definitely one of the best ways to get the essential oils but there are many other ways to get your daily dose of essential oils, including warm compress, ingestion, aroma therapy through a diffuser, and many more. Here's a picture to give an idea of dosage you would use for each application of the oils. FF: People with Fibromyalgia have a slue of other symptoms besides pain. Some suffer from skin irritations and skin diseases. I, myself, have eczema. Are there any oils that can soothe people with skin issues, and if so, how would you use them? JC: Essential Oils have a large range of aliments they can help with. For skin irritations the best two I would recommend are Lavender and German Chamomile. These two also will help with the pain, any stress, and other symptoms as well. FF: According to many health practitioners, Fibromites tend to have a weakened immune system. A weakened immune system is attributed to a lack of vitamins B-12, B-6, and B-9. A B-12 deficiency, something that is very common for even healthy individuals, is also very common for Fibro sufferers. A B-12 shot can help, and so can a multivitamin, but sometimes one wants that extra help during cold and flu season, when everyone, including your kids, have that cold from hell. Onions are great at removing bacteria from a home, but they aren't the best smelling. Are there any essential oils that one can use to help eliminate bacteria from the air in our home? JC: To give a boost your immune system you can smooth Thieves essential oil on the bottom of your feet each night. You can also use it to clean your home and body. At Young Living we have a whole line of Thieves products including cleaning supplies and hygiene products. You can also use Lemon essential oil to clean your home to keep any bacteria away. And of course Lemon smells delicious too! FF: Many people who suffer from Fibromyalgia also have chemical sensitivities. I have had to avoid detergent isles in department stores for a good amount of years. And I now either buy mail order all natural household cleaners, or I make them myself using vinegar with a little fresh citrus. But sometimes, I don't have lemons or oranges on hand in the house. Are there any essential oils that can be added to vinegar to make a homemade cleaning product? JC: Like the last question Thieves and Lemon essential oils are best for cleaning. And with only having to use a few drops, it will be a cheaper decision in the long run than ordering natural household cleaners. FF: Jessica, it's been wonderful talking with you about one of my FAVORITE subjects! I'm so glad we have had this chance to catch up with your new endeavors! Where can my readers find you on the web for more information about the oils? JC: My website is, http://livingessential.weebly.com/. I have a wealth of information about how to use oils for Fibro sufferers and how you can purchase the oils at a huge 24% discount. That's the wholesale price. The cost of feeling better is so high today and I don't wish to make a profit off of someone's pain. I'd like to extend my discount to everyone.